“A company is only as good as the quality of its talent”. At Advanced Enzymes, we truly believe that and hence value the most important pillar of the organization: The People. AETL is research and knowledge driven company, and being in biotech arena, it is more so essential and critical for us to be on our toes all the time. And, attracting and retaining the best talent is the most important part of it. Also, we believe that the best talent needs to be nurtured by providing the opportunity and the environment to grow. At AETL, talent management involves training and enabling employees to quickly integrate into the company and become productive and excel rapidly. 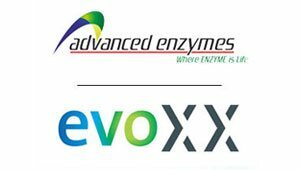 Establishing processes to measure and manage employees; and delivering training to support continuous improvement in performance is an on-going process at Advanced Enzymes. If you feel you possess best talent and enjoy challenges with a passion to excel and wish to be a part of AETL team, you may apply here.